The huge choice of security packages to keep your PC safe whilst browsing can seem daunting at first. Here is a quick round up of some of the best paid anti virus and PC security software. Kaspersky are one of the biggest names in PC security for the home and office. They are a market leader and offer a huge range of products suitable for protecting your PCs at home, work, or even your mobile. They are tried and tested and always perform very well in comparisons with their competitors. 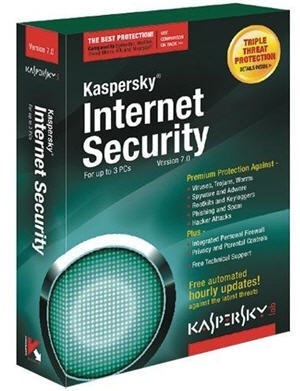 With their latest Internet Security suite costing only £39.99, and their basic anti virus costing £29.99 we would suggest that the extra cost is well worth the raft of extra features available to users of the full Internet security suite, best of all Kaspersky offer free trials of their software so you can try before you buy. Avira have won a number of awards this year for their security software which regularly scores a perfect detection rate, simple to use, zero “false positives”, and most importantly of all for some users, low performance overheads. This means that even older computers with less processing power can run the latest Internet Security suite from avaira without any slowdown affecting their normal computer use. AVG have long been the leader in basic free antivirus but in the last few years they have extended their line to offer a more complete Internet Security solution which is very well priced and comes with a huge array of features which make it particularly easy to use. One of the features some find the most useful is the AVG desktop widget which shows a small, unobtrusive widget in the corner of your desktop reassuring you all is well or advising you if any action is required. Avg is also remarkably discreet, not bothering you with annoying messages and scanning your machine only when it senses you are not actively working on it. This means an end to your computer coming to a grinding halt whenever a virus scan is scheduled. Combine the awards, vast number of features and ease of use with the current discount being offered and this would be a good choice for any machine. AVG Internet Security 2012 – 20% off!